Prominent & Leading Manufacturer from New Delhi, we offer hob unit. We have marked a distinct and dynamic position in the market by providing a high quality array of Hob Units. 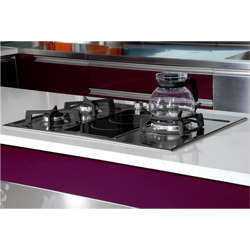 With a purpose to satisfy our customers, we offer these Hob Units in various design & size. Moreover, our professionals design the offered Hob Units by utilizing best quality material so as to guaranty their durability. We carry out the entire manufacturing process of these Hob Units under the direction of experts who take care about globally laid quality standards. Customers can take these Hob Units from us at market leading rates.